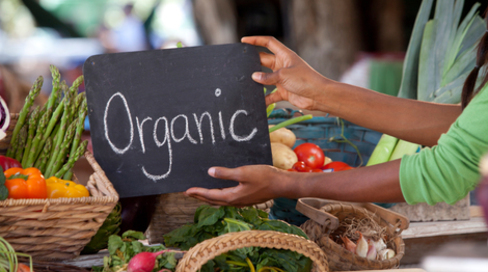 Organic businesses have certain affairs they need to get in order before being able to market their products, and an organic certification is among the most important steps in their endeavors. Having the certification label on their products is a guarantee for an ethical business, adhesion to organic production requirements as well as a clever business move. The organic retail market has grown tremendously in recent years so that over 25,000 farmers are currently receiving some benefits as a result of their USDA organic certification. However, obtaining this certification is not a simple task and it has to reflect your longstanding, ongoing commitment to proper organic produce production. Despite the fact that the USDA issues the organic certification, it’s not USDA representatives who perform the certification process. Instead, organic certifying agents carry out the task of examining whether farmers meet the stringent requirements of the USDA. Before beginning the certification process, farmers need to assess whether they meet the eligibility requirements for organic food production. A simple way to know whether certain products are eligible for the USDA Organic certification is to discuss with a NOP (national Organic Program) certification agent. Currently, there are four categories of products that can be labeled organic: wild crops, crops, livestock and processed products. Producers in the United States are prohibited from marketing foods or products as “organic” if they haven’t undergone the certification process. Violations of these organic labeling regulations result in fines of up to $11,000. However, there is one exception to this rule. Small farms producing organic crops whose sales don’t exceed $5,000 from organic products are allowed to label products as organic even if they haven’t received an USDA organic certification. Of course, even before considering your eligibility, you have to already have an organic system in place that serves as the foundation of your certification plan. It has to be based on the practices consistent with organic crop reduction: tilling, harvesting, grazing, storing and transporting. Also, throughout this process, the only substances acceptable are the substances present on the USDA’s National list of Allowed Substances. If your farmland and soil produced conventional crops in the past, there is a transition period that you need to be mindful of. According to USDA requirements, any land that was used in the production of raw, organic crops must be free of any prohibited substances for at least 36 months before producing crops that are labeled as “certified organic”. Even so, there is an Environmental Quality Incentives Program providing producers with both financial and technical assistance throughout this transition period. Once you’ve decided to apply for your certification, you will have to contact one of the many certifying agents capable of evaluating your business. During the certification process, you will be required to provide the certification agent with detailed accounts of your operation and descriptions of the farming practices performed, a thorough history of the substances that were applied to the land in question throughout the three years prior to your application as well as the types of organic products being produced, raised or processed. All this information will also be present in the Organic System Plan that you need to hand in when applying. The certifying agent will then investigate whether the practices described are in compliance with the organic regulations set forth by the USDA. Additionally, an on-site inspection of the farm or business will be performed by an experienced inspector. Following the on-site inspection, the certifying agent will review the inspector’s evaluation report in order to decide whether the organic certification should be awarded or not. This process may take approximately 6 to 10 weeks after the on-site inspection is completed. The organic certificate will include a listing of all the products that can be marketed as organic in accordance with the USDA requirements. If the farming practices change, annual inspections will not only maintain the certification but also include new products that should be marketed as organic. The certification process involves costs that vary depending on the size of your operation as well as the certification agency you choose to work with. Expect these costs to be anywhere between $200 and $3,000. However, even if these costs seem high at first, remember that the USDA offers an Organic Certification Cost-Share Program meant to reimburse farmers whose operations are eligible. These reimbursements can reach 75 percent of the total certification costs. While the certification process involves both time and costs, farmers benefit greatly from being allowed to use the organic seal. Nowadays, people are willing to seek out organic products and are prepared to pay for the quality that the seal guarantees. In fact, organic farmers expect to sell their produce for at least $1 more per pound after obtaining their certification. The USDA has a variety of funding and technical assistance programs aimed to further help farmers who have obtained their organic certification. These programs include the National Organic Certification Cost Share Program (NOCCSP) and the Agricultural Management Assistance Organic Certification Cost Share Program. They aim to help farmers cover the costs of their organic certification process. More importantly, those organic producers living in AMA states are eligible for receiving reimbursements from both the NOCCSP funds and the AMA, yet, the AMA funds have to be exhausted before NOCCSP funds can be accessed. Of course, the entire process is difficult but once obtained, your organic certification will more than justify the effort. Now that we’ve discussed the lengthy process that ends with organic farms obtaining their certification, it’s clear that products with the USDA organic seal have been seriously vetted and therefore offer the guarantee of a high-quality product. Hey Buddy!, I found this information for you: "Organic Certification Process: Your Guide to Getting Certified". Here is the website link: https://backtofarm.com/organic-certification-process/. Thank you.